November 12, 2014. V.R. 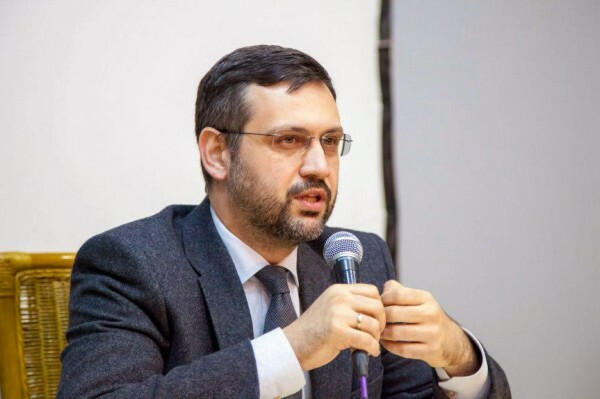 Legoyda, Chairman of the Synodal Information Department of the Moscow Patriarchate, delivered a speech during a panel discussion titled “The Near East on Fire: Who Will Protect Christians?” held during an exhibition forum entitled “Orthodox Rus'. My History. The Rurikids”, in which he noted that the Western mass media hardly touch on the topic of Christians' situation in the Near East. “If we examine the Western mass media coverage, we will see that they report on the problems of the Near East to a great extend. However, the issue concerning the persecution of Christians there is hardly touched on,” Mr. Legoyda stated. “What is the reason for this? First of all, acknowledging this problem, it is essential to point out that it is largely a result of the Western countries’ interference into the interior activities of the Near Eastern governments, which, in turn, testifies to the failure of the Western countries’ policies. Their media group cannot allow this,” he added. 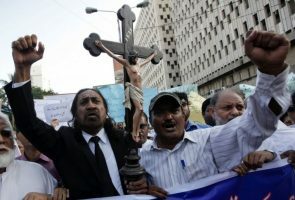 “Secondly, admitting the persecution of Christians in the Near East will result in the discussion of violating Christians’ rights around the world. In fact, today Christianophobia is, unfortunately, a reality, which exists in many European countries,” the Chairman of the Synodal Information Department stressed. Mr. Legoyda noted that the problem of the Near Eastern Christians is on the agenda in Russia thanks to the viewpoint of the government and civil community, including the Imperial Orthodox Palestine Society, and above all, the Russian Orthodox Church. “His Holiness, Patriarch Kirill, has delivered speeches in support of the Near Eastern Christians many times,” the representative of the Church reminded. 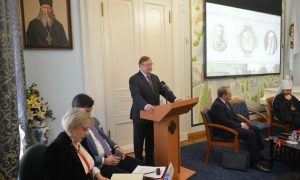 “The understanding that the Near East is the origin of our identity, our faith, and thus, our culture, pervades largely not merely the political establishment, but the entire Russian society,” Mr. Legoyda pointed out. 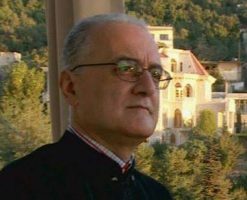 “It is superfluous to explain our citizens the concern about the situation in the Near East,” the Chairman of the Synodal Information Department concluded.